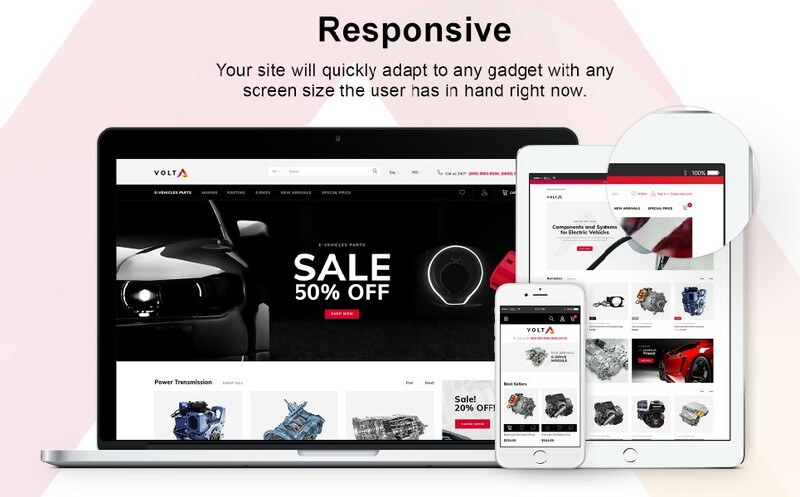 Volta is an ideal Magento 2 theme to start an Electric Vehicles Parts and Components store. The theme design is impressive and flexible which means you can easily adapt it to your eCommerce business needs. Volta features the most essential modules pack to help you to manage online store. Check the Live Demo!